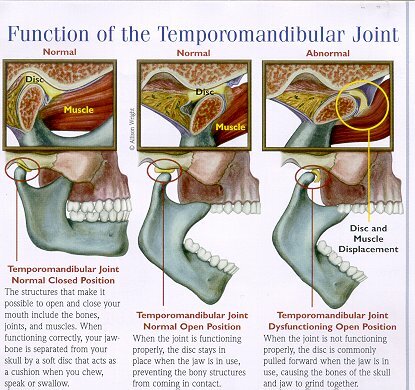 Symptoms of Tempromandibular Joint Disorders may include your face, jaw/teeth, clicking/popping upon opening or closing, or jaws that lock open or closed. This disorder may also cause headaches, soreness in the TM joint area and even difficulty in chewing your food. 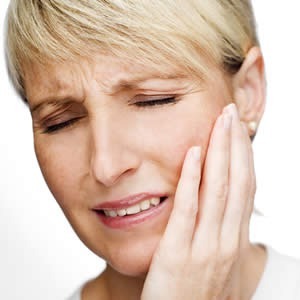 Most TMJ disorders are related to tight muscles, high stress, and teeth grinding or clenching. However, TMJ disorders may also be due to joint damage or arthritis. Treatment for TMJ disorder patients is usually non-surgical and may involve diet modification, physical therapy, stress management techniques, anti-inflammatory medication, muscle relaxers and removable splint therapy.